There is no simple remedy for the non-stop disruptive turmoil of our times. The things we most need to talk about in order to move forward together are difficult topics. They’re contentious, triggering, and/or taboo. When I speak with someone who doesn’t agree with me, sometimes it goes well and sometimes it doesn’t. Going well doesn’t mean agreeing, necessarily, about anything. It means feeling that the others heard what I mean, as best as I can tell, and also that I listened well enough to really hear what they’re saying, as best as I can. When that happens, we al know it. It feels like something difcult happened right and it is almost impossible not to learn something. I would like to do more conversing-that-goes-well about matters people can get mad about across tribes, matters of belief, of fairness and resentment. Civil liberty and security. I think that the technologies of talking with each other need a serious upgrade. 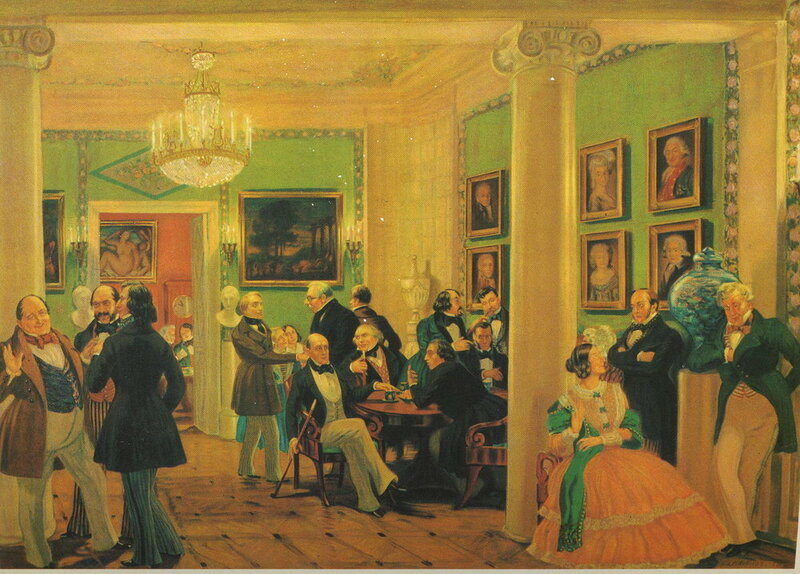 The Salon as a place and a way to meet to freely exchange ideas has emerged in history at many times in different places. Maybe the image of conversing and not judging, disagreeing but not harming is a myth. I’d like to consider it aspirational.